Piedmont Social House (PSH) provides a wide variety of unique dining, drink, and entertainment options. Between its 21,000 SF of indoor space and 5,000 SF patio, PSH offers a full-service restaurant, two bars, bowling alleys, darts, corn hole, shuffle board, bocce ball, ping pong and billiards tables among others. Patrons can enjoy PSH's signature fried chicken or choose from a number of southern-inspired menu items. PSH's expansive selection of draft brews and signature cocktails are the perfect complement these delectable meals or a round of bowling. Harry's Grill and Tavern is located amidst the vibrant Town of Ayrsley. Harry's specializes in personalized service and dining. The Black Label Burger, Harry's Crab Cakes, and Lobster Mac-N'-Cheese are customer favorites along with local brews from Harry's North Carolina craft beer menu. The food, drink, and excellent service at Harry's embody its promise of a quality and memorable dining experience. 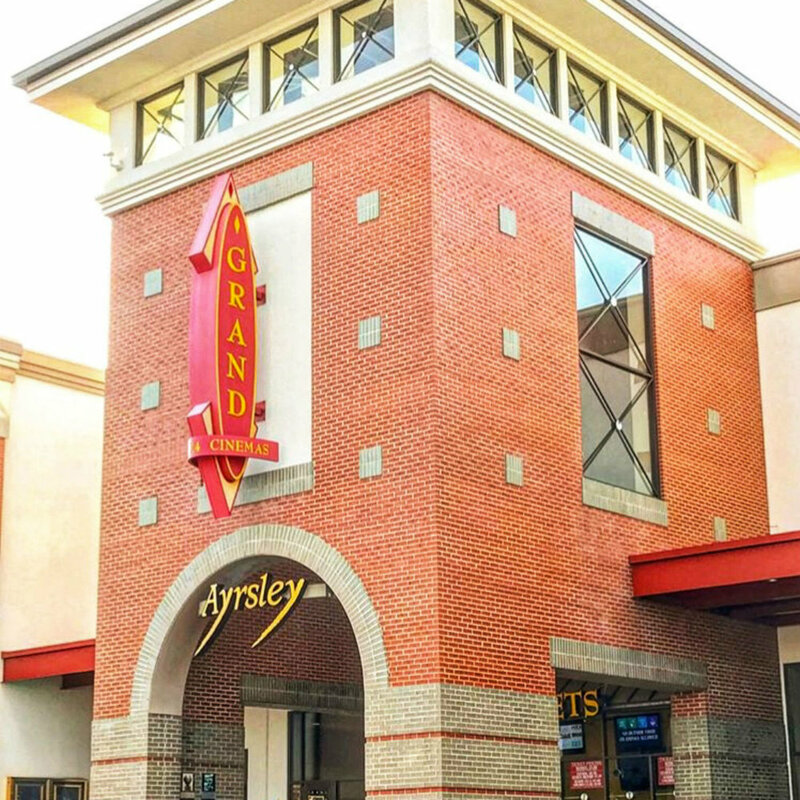 Whether Horror, Comedy or Romance is your movie of choice, Ayrsley Grand Cinemas has them all! Within walking distance of all of the great restaurants around Ayrsley, this is the perfect place to bring a special date or your entire family for a night out!